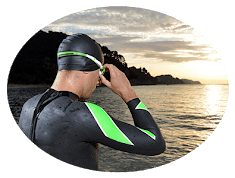 Getting to the pool or open water can be somewhat of a challenge for many busy swimmers and triathletes, especially during the off-season. Even when you get there, you may still be limited in the amount of water time you get. While dryland swim training is a viable supplement to pool time, for most people it is important to integrate dryland swim training with time swimming in the water to become a stronger, better swimmer. Most busy, working athletes don’t have much available time to use the pool, so they need to make the most of their pool or open-water sessions. Here are a few ways that swimmers and triathletes with limited time or pool access can make the most of what they do have. When you have a short amount of time in the pool, you have to focus on training exercises that give you the best results. According to Joe, this means breaking your swim into shorter 1-2-3 or 4-length intervals and focusing on technique. Even if you’re not able to swim longer distances in the pool, it still allows the body to get used to swimming for longer distances, without taking up too much of your overall swim time. Multisport coach Eric Neilsen also recommends using multifaceted drills that engage more than one area of the body. Head-up swimming, for example, allows you to look at the spacing of your hands & arms when you swim and improve the speed of your turnover. This style of swimming lets you accelerate through the stroke while simultaneously working on your kick, which enables you to train multiple muscle groups in a relatively short period of time. When supplemented with longer dryland training sessions – using tools like the Vasa Swim Erg – these “big-bang drills” (as Eric calls them) can help you save time and energy in the water without sacrificing technique. For those who don’t have a Vasa, or do but are in the water training, coach Neilsen recommends doing “system check” drills. “Do a 500 swim and within each 100, pick a focus point: for the first 100, focus on the catch. The next 100, accelerate your hand speed from catch to finish. The next 100, focus on relaxed, efficient breathing. The fourth 100, on using a relaxed recovery. Then put it all together in the last 100,” he says. When you focus on drills within a continuous swim, you’re “solving two problems with one answer,” even if you don’t have much time. Breathing is one of the biggest concerns that coach Neilsen encounters in the swimmers he coaches. “I’ve found people are worried about breathing. And if that’s true, then they can’t work on the rest of their stroke because they’re worried about air!” he says. When in the pool, it’s important to take the limited time you have to practice breathing and positioning techniques that you can’t do on dry land. In the pool, practice breathing by swimming 25-yard repeats, letting the need for air dictate your speed and rhythm of your stroke until you become comfortable with breathing and swimming at a faster pace. When you’re not in the pool, you can reinforce these breathing behaviors using the Vasa SwimErg. “The Vasa SwimErg really helps athletes who are challenged by breathing and stroke-rate, because you can breathe and keep your body in a straight line,” Eric notes. Time isn’t the only hindrance to maximizing pool time, of course. In cases where you get to the pool, you might find that you don’t have it completely to yourself. You also have to learn how to train with other swimmers without invading your space, and without limiting your ability to do the exercises you need to do. After all, time is limited and you don’t want others to invade that precious resource (or vice versa). If you’re in a lane that’s very crowded to the point it’s hard to run your intended workout routine, you may have to resort to other measures. This might mean adapting your training to meet the constraints of space. For example, if you planned on doing 5 x 100s, it might be easier to do 10 x 50s given how the lane is moving. When you first get to the pool, you should assess the speed and skills of any other swimmers in the water. Once you’ve chosen a lane, you want to ensure that other swimmers understand what you’re doing and how long you plan to be there. During an interval training set, give swimmers a specific amount of space (in this instance, marked by time – specifically, 10 seconds) to ensure that no incidents occur. By default, leave 10 seconds apart from other swimmers in your space. If possible, communicate. When there’s overcrowding, there’s a greater risk of injury. Communication prevents potential incidents from occurring so you can focus on what matters. If the pool is too crowded, you might consider warming up on deck, doing arm swings, shoulder shrugs, and rotations, yoga sun salutations, jogging in place, or using stretch bands with a Swim Bench for specific activation until space in a lane is available. While this isn’t an ideal warm-up situation, it can save time and help you maximize your training once you do get in the pool. Getting to the pool or open water isn’t always easy, so it’s useful to plan how to get the best results when you do swim. Be sure to practice relaxed breathing and use a long, taut body position whenever you get in the water. This is especially important if you have been training on land using a swim bench like the Vasa SwimErg so that you know how effective your training has been (and so you don’t panic in the water, of course). If the pool is crowded, you will inevitably need to adjust your workout to make the most of your time, like shortening a 100 to a 50. 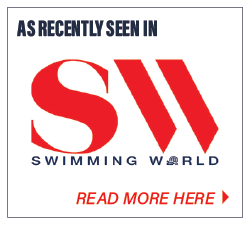 For those times when you just don’t want to face the crowds or are simply time-starved, many athletes have discovered that having a swim-at-home option like busy executive Keith Watson will help you maintain consistent swim-specific training to gain the best of both worlds. 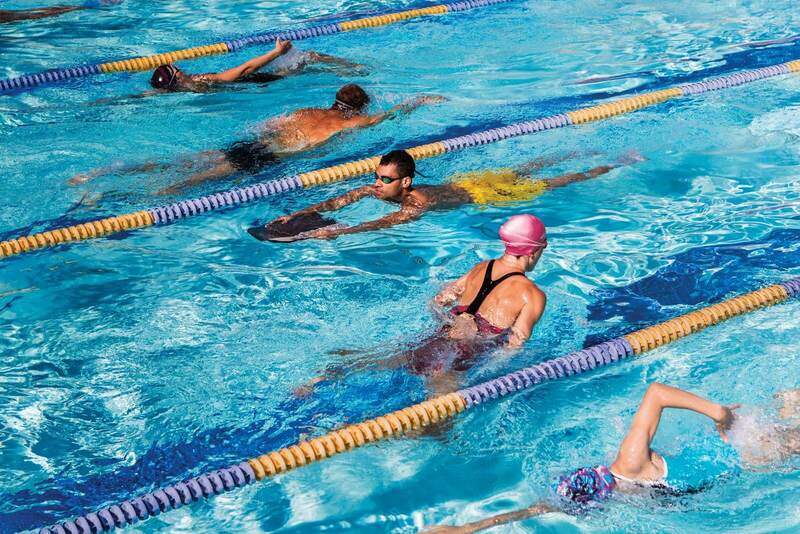 Here are 5 tips for swimmers of every level for training in a crowded pool. Subscribe to get this free resource.